Vinyl banners are digitally printed in full color using the CMYK color mix. Some colors will look good on your computer screen, but they will print differently. 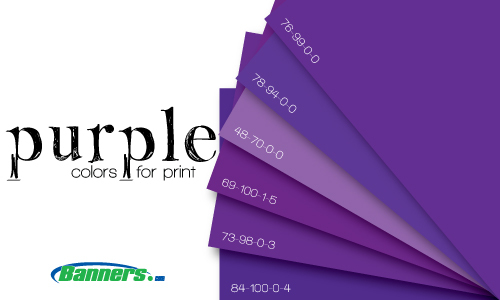 Purple is often a difficult color to print correctly, so we recommend using one of the color mixes below when you design your files in Adobe Illustrator or Adobe Photoshop.